To build your dream home, there are many things to consider because this is a big project that needs strong financial backup. 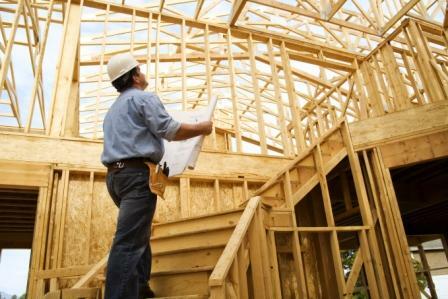 Prior to building your home, you need to consider your budget. It is likely you will need financing or loan options- ensure that you’ve secured this before you start. Before you can apply for loan, banks need to see your building blueprint, which involves planning. Determine the location of your house. You can either build from scratch, or select a design from building catalogs. Form a dependable building tem. The team should consist of a contractor, surveyor, architect and other field experts. The combination of a good building team together with sufficient financing and smooth applications approval will ensure that your home be built in no time. A house is basically a structure in a piece of land that serves as the dwelling of person/s. How to build a house then? Firstly, you need to grade and prepare the site. Then, construct a foundation. Building the foundation correctly is crucial because a house cannot last long without a good foundation. Next is to build frames, which includes the wall partitions and involves brick building. After the foundation is up, you can install windows and doors. Roofing is next, followed by installation of sides. Then, it’s time to call in the electrical and plumbing experts who will install rough electrical and rough plumbing systems for the whole house. Insulating your home against extreme heat, cold and harsh climate is also an important step. Then, drywall is applied followed by underlayment. Paint your new home in colors that suit your preference. After that step, you can finish the electrical installations. Shifting your attention to kitchen counters and bathroom design, you can now install and complete the plumbing system in both areas. It is important to choose the right flooring material or carpeting because it affects the overall look and feel of the home. You can then attach the systems to the main water source and test run the water flow. Fix any leakages or insecure plumbing outlets. The last thing to note (albeit an essential point) is to install a septic system and attach the system to the main sewer. Note that the building of each part may be done by different subcontractors specializing in their respective fields (i.e. roofing or framing). They are supervised and coordinated by a main contractor who works with you to ensure that your home is completed in the agreed period of time. These simple outlines on how to build a house can be used as a reminder of the processes to note when you build.